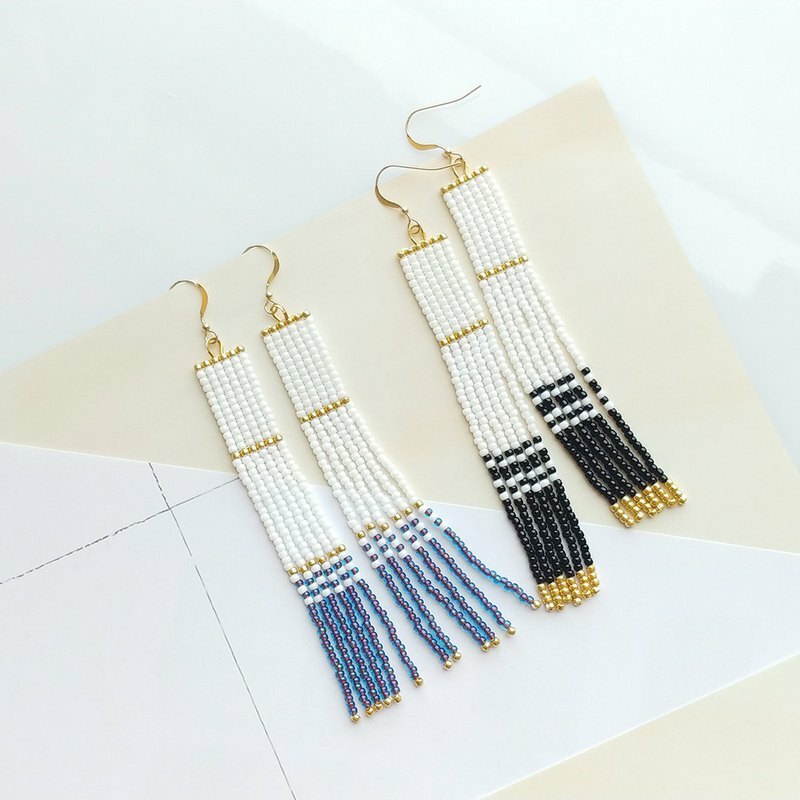 Long beaded tassel earrings are a timeless approach to sophisticated glamour. Combining an on-trend silhouette with everyday wearability, make any outfit pop with these lightweight earrings. Long beaded tassel earrings are a timeless approach to sophisticated glamour. For the ultimate statement, wear with your hair swept to the side. - Beaded tassel detail. - All handmade with Japanese seed beads. - Approx. 3.9” / 10cm in length, 0.5" / 1.2cm in width. - Slip-through wire hook. 2 pieces of clear plastic rubber for ear wires guards are included. For reasons of hygiene, pierced jewelry is non returnable.